Here is what P3 has planned for the coming months! May-5-2019 Perris, CA -- Few things in skydiving are more fun than successfully building large freefall formations with friends from around the world. But too often we don't get the chance to learn to do it right in a safe, challenging, low pressure environment. The P3 Big Way Camp is that chance. If you have 100 jumps and can consistently dock on a 4-way we can teach you what you need to learn next. During the big way camp you'll have the chance to fly many different slots, jump from right and left trail airplanes, track off in teams and fly your canopy with larger groups. The camps are also perfect for the experienced big way enthusiast to hone their skills. 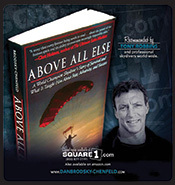 We consistently have people from 100 to 10,000 jumps join us for these great 4 days of skydiving. May-12-2019 Perris, CA -- The 100-Way Training Camp is the perfect follow-up to the Big Way Camp. We usually have between 60 and 100 people. Regardless of the number, all the jumps are designed to be like 100-ways with long formations requiring several waves. If you've done a lot of 100-way+ events, this camp is a great chance for you to stay sharp and current in all the slots. If you haven't done anything that large, you'll be ready to after these 4 days. Each day we'll change the formations and each person's slot. By the end of this week you'll be comfortable going in nearly any slot on a 100-way. May-19-2019 Perris, CA -- You don't want to miss this one! One challenging, amazing 60ish way formation after another. Single points, sequential, different slots, different jumps, nonstop fun. In 2018 we completed so many incredible formations in just 4 days!! Slots are limited. 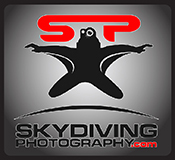 Jun-30-2019 Perris, CA -- P3 invites qualified FS skydivers to join the P3 Team for more of the incredibly challenging and visually exciting jumps that the Power Play is known for!